These days everyone keeps talking about their website’s SEO scores and how to improve them. You might be wondering what is an SEO score and why is it so important for the future development of your business? You have come to the right place to find the answers to all of the questions you might have about this topic. We have created this detailed guide in order to explain every aspect of SEO scores. This guide will give you a better insight on your own SEO scores and a definite answer on the question what is an SEO score. What is an SEO score of your website? SEO is the abbreviation for Search Engine Optimization. This is a process of improving the visibility of your website in search engine result pages. SEO stands for improving your rankings only using “natural” and “organic” ways, not the paid ones. If you have no idea what SEO is, we highly recommend checking out SEO for Search Engines. SEO is a major factor when it comes to the visibility of your website on the Internet. The goal is to be seen by as much potential customers as you can. Is there a better way to do that than to rank first in the Google search engine result pages? The problem with SEO is that it’s often misunderstood. In order to have an effective SEO tactic, you need to do much more than just adding the keyword phrases to your website. SEO depends on every small part of your business’s website – there are variety of factors that you should take into account in order to improve your SEO scores. Now that we have a better insight about what SEO is, it’s time to talk about what is an SEO score and why is it so important to your company. Before we give you an answer to this complicated questions, we have to tell you something that not a lot of people know. It’s essential for you to understand that only Google has complete information on your website’s SEO scores. PageRank was used in the past to determine all of the SEO scores for a particular website, but that’s not the case anymore. PageRank stopped receiving updates by Google, so you can’t find your scores here anymore. With this being said, even though only Google has all of the information about your scores, there are metrics that indicate how well your website is doing. It has been shown that these metrics have a high impact on your SEO scores. While we are not sure exactly what is the extent of that impact – it still exists. So, what is an SEO score? The SEO score represents a final result of the process of measuring all of the aspects of your website. The aspects that are being measured here are the ones that contribute to the search engine ranking results of your business. The two basic categories that we can divide this process are measuring user-facing aspects and aspects that are technical. But, we can go a step further. There are four main subcategories that will influence the final scores of your website’s rankings. These subcategories are: Content, Technical, User Experience and Mobile. In order to find out the final SEO score, you will need to check how your website is doing in all of these subcategories. These checks are performed by inspecting various properties of your website and giving you the specific scores for each individual check. Some of these metrics will check if an element is present or absent on your website, like sitemaps or robots.txt files. Other metrics will give you scores and percentages of how successful your website is, regarding a specific test. These tests include finding 404 errors or finding missing alt attributes of images on your website. Let’s explain each of these subcategories in as much detail as we can. How easily can your website be accessed by your visitors and search engine crawlers? How fast and efficient can search engines crawl through your website? Are the search engines crawlers able to index your website properly? If your website can’t be properly indexed, it won’t show on search engine result pages. There is no amount of optimization and on-page content improvement that you can do to solve this problem. Technical SEO is the foundation of your website’s organic traffic – make sure you do it in the right way. Most of the people often overlook technical SEO and adjust it when the website has gone live. This isn’t the greatest approach, since all of the issues that we find during an SEO audit can be avoided by carefully planing and considering them in the earliest stages of the development of your website. You have probably already heard about this term, but what exactly is the domain authority of your website? Domain authority ( also known as thought leadership) of your website describes how relevant it is for a specific area that your business is in. This metric comes from a third party – Moz, a company which produces tools for SEO, link building, inbound marketing and content marketing. It’s one of the most recognizable and widely used metrics by any digital marketers. When you take all of these factors into account, you will gain a better insight about your domain authority score. There are a lot of websites that can help you in acquiring your domain authority scores – the most popular one for web pages is Page Authority. What is an SEO score of my website’s domain authority? All of the domain authority scores range from 1 to 100. The higher the score you acquire on this test, the greater the ability of your website to rank good will be. Domain authority score is calculated by approximately evaluating multiple factors into a single domain authority score, that you will find out at the end of this process. What is a decent score for a small business? The score that you should be aiming for is anywhere from 31 – 40. Improving your domain authority score from 30 to 40 is way easier than improving it from 70 to 80. The important thing that you need to remember about domain authority is that it’s a metric that is alive. This means that your domain authority scores are always changing – and so are the scores of your competitors. Since your domain scores are scaled up to 100 points, this means that your scores can go down after each update. It doesn’t matter if you have done everything to improve the link quality and quantity on your website. This doesn’t mean that you are doing poorly on your domain authority scores, it just means that the scale is constantly recalculated and it will always fluctuate. The important thing that you need to keep in mind is that you should look at authority scores as comparative to your other competitors, and not as an absolute measure of your business’s strength. Choosing a good domain name. This is a step that you should do if you are just starting your business. You should choose the name that is relatively catchy and easy to remember. You don’t want your visitors to be unable to come back to your website because they simply forgot your domain name. If you are using a domain name, make sure that it doesn’t expire anytime soon. You might even consider completely changing your old domain name if you are experiencing problems with popularity and low traffic amounts. Become acknowledged within your niche. In order to become a well-known brand in your particular niche, your visitors need to acknowledge your business as a legit one. The only way you can do this is by creating amazing content and actively engaging with all of your followers. The goal here is to boost your reputation and to strengthen your business’s identity. The Alexa global ranking is one of the best metrics to measure your website’s traffic. This metric won’t just give you a numerical value for your score, it will compare your scores to all other websites. What Alexa offers to its users is two ranking system that they can choose from: global and country. Which one of these two ranking system you want to prioritize on depends only on your business’s goals. If you are running a local business, you would want to focus on the country rankings, since almost all of your customers will be from your country. On the other hand, if you are running a business that offers its services to the whole world, you would want to focus on global rankings. This choice depends only on the type of the business you are running. Alexa gathers all of the information about your website’s ranking based on the behavior of users on their data panel. This data is calculated over a period of at least three months. The more visitors and views your website has, the higher your results will be. Indexability of your website determines the chances that your website will be displayed in search engine result pages. In order to have the perfect score on indexability, your website needs to achieve full indexing. This will help search engine bots to crawl through every part of your website and collect the valuable information that will be later stored in the search engine’s database. The URLs that your are using on your website can have a major impact on your SEO scores. How can you determine what is an SEO score of your URLs? While you can’t really get an exact numerical value of your URLs SEO scores, you can see the results they bring if formatted correctly. Improving user experience. A great URL can be read with ease, by both humans and search engines. It provides your users with a clear indication of what the content of the destination page will be about. This gives your users enough knowledge about your article before they even click your link. User experience is extremely important for good SEO rankings. Direct ranking improvements. It is true that URLs can have an impact on your website’s SEO rankings. Their impact is usually minor, because search engines use the URLs to determine the relevance of your web pages to a specific search query. If the search engine happens to find the keyword in the URL of your web page, it will improve your rankings. This doesn’t mean that you should stuff your URLs with long-tail keywords, this will create useless URLs that will have a negative impact on your users and search engines. Using links as a promotion. If you have a well-written URL, you will be able to use it as an anchor text when you share it on social media platforms. This can be a great tool for your website’s marketing while improving the quality of user experience of your visitors at the same time. Keeping it simple. You want your URLs to look clean, simple, compelling, relevant and accurate. This is crucial if you want both search engines and your visitors to understand them with ease. You might have the need to use some ID numbers in your URLs or even some codes, but try to avoid these as much as possible. Make definitive URLs. When users or search engines see your URL, they should have a pretty good idea what’s the content of your web page about. If they know what to expect on your web page, the chances that they will visit it will be much higher. Separate your words with hyphens. Separating your words with hyphens is a common practice when it comes to the website URLs. You should avoid using any other character to separate the words in your URLs. Only lowercase letter. Uppercase letters can cause some confusion about duplicate pages. For example,www.yourwebsite.com/what is an SEO score, is a different web page than www.yourwebsite.com/what is an seo score. Be careful when using uppercase letters. Backlinks are also called “incoming links” or “inbound links”. The purpose of backlinks is to link one website to another. The links that are going to an external website are called backlinks. Why are the backlinks so important to get a better SEO score? They represent the confidence factor between your website and the website from where your users arrived, via your backlink. To explain it simple, backlinks are signals that other websites vouch for the quality of your content. If there are many websites that link to the same web page, it will give plenty information to the search engines. They will interpret this information in a way that a particular web page is worth linking to, which means it deserves a place on search engine result pages. This means that you should have as much trustworthy backlinks on your website as possible. This will have a positive effect on your business and earn you a significant boost on your SEO scores. Earning backlinks is a well known component that falls in the category of off-site SEO. The whole process of obtaining these particular backlinks is called link building or link earning. It’s obvious that not all of the backlinks have the same value. Having backlinks that come from popular, high-authority and trustworthy sites are the most valuable ones. They will give you a significant boost that will greatly affect your SEO scores. The backlinks that come from low-authority sites that aren’t trustworthy won’t help your business. These backlinks don’t have the same scores as valuable ones – in some cases these backlinks can have a negative effect on your website’s rankings. While it is always a good idea to have links that are followed, don’t completely overlook the nofollow links. Having your brand mentioned on one of the most popular websites from your niche can do wonders for your business. The whole process of earning backlinks from other websites is greatly influenced by giving backlinks to other websites. The backlinks that you give to particular websites will also differ in value. When you use a link to an external site, there are many factors that are taken into account to determine the value of your backlink. The page that you used to link the anchor text, if you used the follow or nofollow links, if you properly set the meta tags to the associated linking page – these are all the factors that will have a crucial impact on determining the value of your backlinks. Earning backlinks can be a really time-consuming and tiresome process. You might find it difficult to locate the perfect place where you should start building your backlinks. There are so many places to choose from, how can you be sure that you have made the right choice? That’s where competitive backlinks research becomes your most useful tool. By doing a complete examination of the profiles of your competitors that are already enjoying good search engine results, you can learn a lot of valuable information. You will gain a better insight about backlinks that have already helped them in improving their business. There are a lot of tools that you can use in order to research your competitors to the fullest. Most of them offer a wide variety of options that you can choose from in order to receive the results that suit your business perfectly. Extensive research is a process that can yield unbelievable results to your website’s SEO scores. When it comes to the speed of your website, it is considered as a major SEO ranking factor. Loading speed of your website has a crucial impact on you retention rates. Studies have shown that any of your web pages that needs more than five seconds to load will lose 25% of the initial visitors who came there. The site speed can have major impact on your SEO scores, so it’s really important to optimize it as much as you can. But what is your current site speed? What is an SEO score of my site’s speed right now? 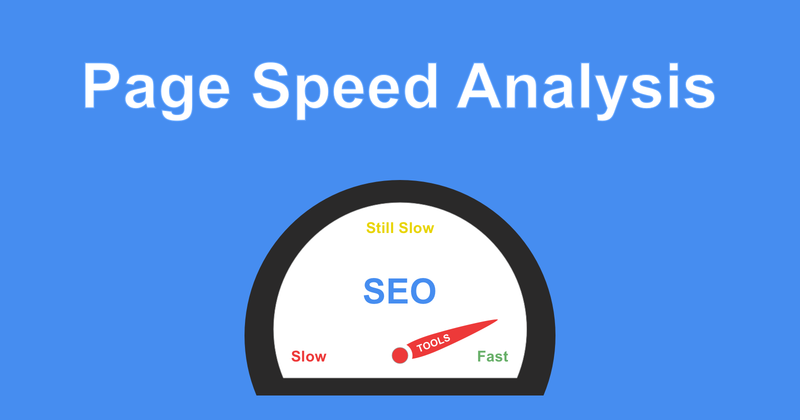 In order to get a better insight on your site’s speed scores, you will need to use a specific tool. There are a lot of tools that you can use, and the one that we highly recommend is Monitor Backlinks. With Monitor Backlinks you will be able to see your site’s speed scores, on a scale from 1 to 100. The great thing about site speed is that the information about it is taken directly from Google – it means that it’s a major factor of your SEO scores. Making your website run faster isn’t a necessary requirement to boost your website’s ranking. You can still have great score ratings, even if your website is a bit slower. Having a website that runs with an amazing speed can only improve your rankings, so there is no harm in optimizing your website’s speed. There are many things that you can work on, in order to improve the speed of your website. You can find more details on on-page SEO optimization, but we will summarize the most important areas that you should work on. Optimizing images. Images play a crucial role on your website. They allow your visitors to visualize the content that you are offering to them. If they are presented with amazing pictures, they will be more likely to engage and explore your website further. You need to have high-quality images on your home page to be able to capture the attention of your users. The problem with these images is when they aren’t properly displayed. If there is no space to display these images in their full size, you should consider scaling them to fit your web page perfectly. If you have an image that is 2000 x 2000 pixels, but is being displayed at 200 x 200, it will take 10 times longer to load that image, which is absolutely unnecessary. Using simpler website design. If you want your website to run fast and smooth, you will need to make the design simpler. This will reduce the total number of HTTP requests that your website needs to perform in order to load its content. These requests are made for all of the different elements that exists on your web page. The lower their number is – the lower the site loading time will be. It will also indirectly impact the user experience. Simple websites usually have much higher rankings than the ones that are visually complex. Enable caching. If you enable caching on your website, you will be reducing the time that is needed for your repeat visitors to completely load your content. Once you have enabled this option, your visitors will store the specific elements of your web pages in their temporary storage. The next time they visit your website, their browsers will be able to load it much faster. There are some sites that are just constantly spamming their users with irrelevant content. Your site is considered ‘spammy’ if it violates the Google’s guidelines, or if it scores very low on the major SEO ranking factors. You can easily recognize the ‘spammy’ sites – they usually have a very thin and poor content, information about their pages is unclear and written badly, there is no contact page or about us page, and their link diversity levels are very low. It’s really important to not get flagged as a spam site by Google. The highest score that you can get on your spam test, without being flagged as a spam site, is 4. Any score below 4 shows that you website isn’t ‘spammy’ to search engines. If you happen to receive a spam score that is higher than 4, you will need to carefully reconsider the qualities of your website. You might want to search for a SEO business that can help you out with this problem. The content SEO scores of your website determine how relevant the content on your website is, for a particular set of keywords. Writing amazing content has a major impact on your business’s future development. It won’t only affect your Google’s ranking scores, it will also affect how your visitors perceive your brand. User content quality. Content needs to be current, easy to read, concise and free of misspelling errors. You should also avoid having any broken links on your website. Indexable meta-content. Meta-titles and short descriptions can be seen on any of your web pages. This helps search engines and user to better understand the context of your web pages. This will also help visitors to easily find the specific content they are looking for. Unique content. You should try to avoid duplicate page titles at any cost. You should also try to avoid duplicating any meta-content that you have on your web pages. Duplicate content can cause some major issues regarding your SEO scores. User experience stands for the overall experience of a visitor using your website. The things that user experience focuses on are how easy and pleasing is your website to the users. When it comes to user experience SEO scores there are two main categories, user-friendly visuals and user-friendly navigation. Having a website that has an amazing navigation that is user-friendly will greatly impact your visitor’s satisfaction. Your goal is to help your visitors reach their desired destination in the shortest path possible. You don’t want your users to get lost on your website and to be unable to locate the content they are looking for. This is why you need to make sure that your website navigation is offering the best user experience for your visitors. In other words, your navigation should be simple and natural for your visitors to use with ease. You need to help them in every step of the way in order to locate their desired content in no time. Mobile marketing has been growing rapidly over the past few years. Keeping up with your competitors means that you have to adapt to different marketing strategies. What are the factors that influence my mobile SEO scores? The responsiveness of your site on the mobile phones and it’s ability to be used on mobile phones are crucial. Mobile phones are slowly becoming the primary devices that your visitors are accessing the Internet from – having a website that is fully optimized for your mobile phone users is a huge step towards better SEO rankings. Responsiveness. Your website should approximately have the same response speed on mobile phones as it has on computers. All of the content on your website should be optimized for mobile operating systems. Touchscreen readiness. Your website should be fully optimized for any touchscreen functionalities. Your users need to be able to tap and scroll through your website without any errors or difficulties. Loading speed. The time it takes your website to load on mobile phones should be even faster than on computers. Make sure your website loads properly on mobile phones, without misplacing the content or not showing some parts of the website. Now that we are familiar with all of the factors that are taken into consideration in order to give us our final SEO score, there is just one question – How can we calculate our final score? In order to see your final results, you will need to go through every step in this guide and calculate the specific SEO scores of your website. After that, you should combine them together to get a better insight on your final results. If you find this guide too difficult and too long, and you don’t want to go through every single aspect of your website, there are other solutions. There are a lot of tools that you can use in order to receive your final ratings. The tricky thing about these tools is that they aren’t free, and some of them aren’t even reliable. Our best suggestion is to have a professional SEO audit done by our company. We would be happy to provide you with all of the statistics about your website’s SEO scores presented in a simple fashion that you can easily understand. There is no need for you to do an extensive research about SEO rankings and spend countless hours online, finding the proper content. Our team of professionals is available 24/7 to assist and help you with any difficulties you might have. After we deliver the complete SEO audit to you, we can have a better insight on the areas of your website that need some work. It is our main goal to improve every aspect of your website in order to sky rocket your business’s SEO scores. With your motivation and our skills we are certain that we can accomplish amazing things together – don’t wait any longer and make the best decision for your business today!